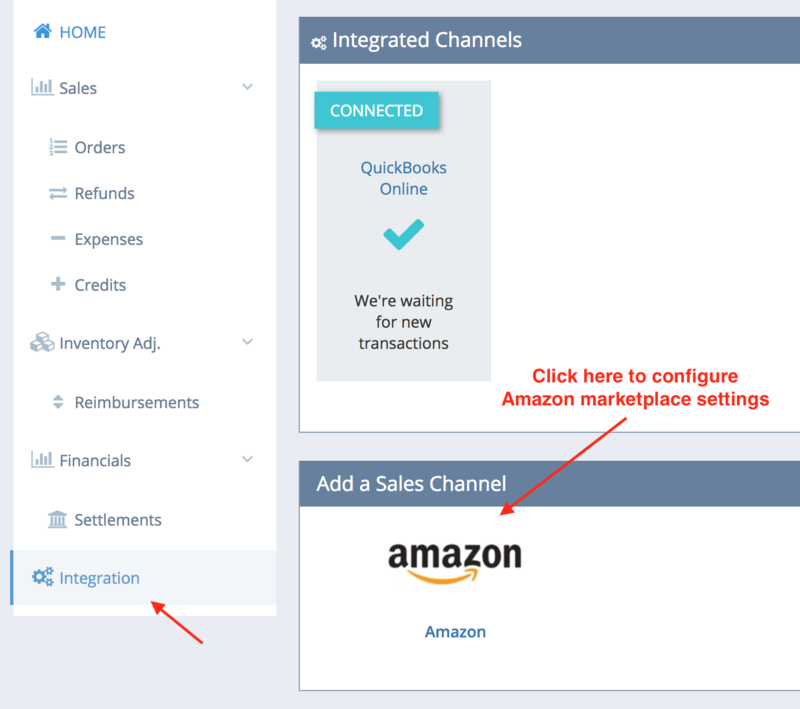 When you connect to your QuickBooks Online account, you'll be brought to this page. Click on Amazon to configure the Amazon marketplace settings. On the next screen, enter the required information. 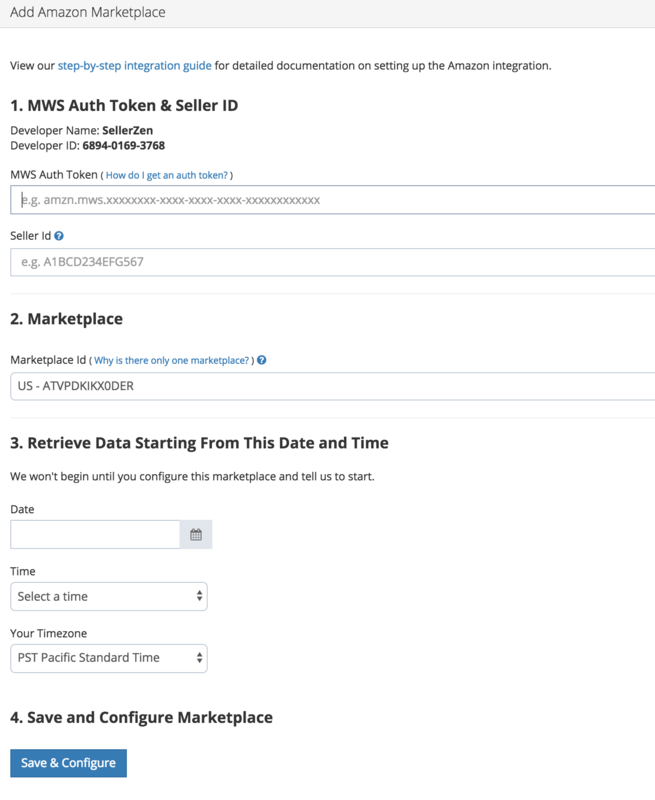 You can find your MWS Auth Token and your Seller ID on that page or below. By default, we'll select the Amazon US Marketplace ID. If you're setting up a different marketplace, make sure to select it from the dropdown menu. Choose how far back you want us to retrieve your data. Choose your time. Click on "Save & Configure" to complete connecting SellerZen to your Amazon marketplace. What Date and Time Should I Start The Sync From?